The leadership of Black Links Global (BLG) comes from the dedicated business leaders, community champions and role models of the black community who exist under the social networking organisation called We The United. It is these individuals who freely give their time, experience and expertise for the benefit of Black Links Global, and whose commitment is a continuous inspiration that deserves recognition. Through WTU Governing Bodies, lay leaders and professional staff, the control, administration and operations of the ever-increasing scope of WTU activities globally are met and this ensures that the highest standards of transparency and accountability are maintained throughout the organization. The most senior governing body is the Board of Trustee(s). The board is responsible for WTU world policies, programs and budget. 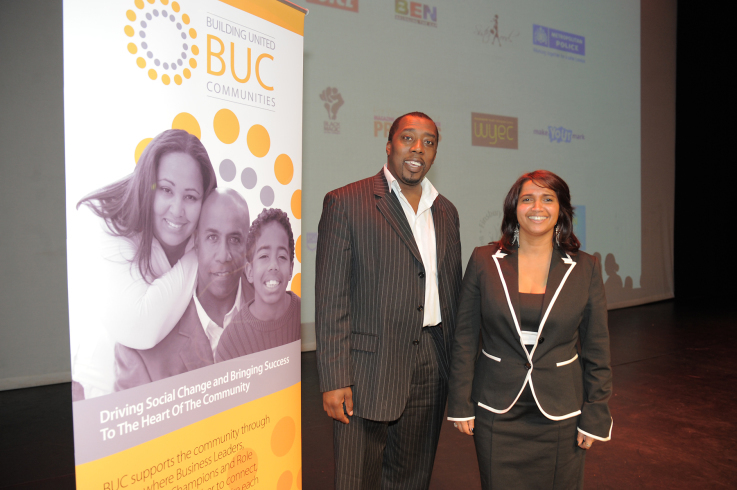 Andrew Green became President of Black Links in 2005 and Chair of the Board of Trustees in 2015. Andrew Green has a skill set in creating and developing businesses nationally and internationally. This involved travelling to Meritah (Africa), Asia, the Americas and Europe and entering into joint ventures, affiliations and associations with individuals and corporate organisations internationally. He is the founder of Building United Communities (BUC) rebranded as We The United (WTU). Black Links represented a cornerstone in the black community since its beginnings in 1999. The business started off as a Black Business Directory. The original owners sold the entity and it changed hands several times. There was a need to retain the asset as a resource for the black community and so the strategic acquisition of Black Links and the intellectual property behind it was planned. When the opportunity arose the acquisition was finalised in 2005. With the asset acquired it was kept safe until the decision to re-launch it was made. Black Links United Kingdom was launched in 2015 and has exceeded all expectations. The move to expand worldwide is underway as Black Links goes Global and provides the umbrella under which all the country based directories exist, together with being a Black Business and Consumer Network. The new Black Links Network has a growing database of black owned businesses and organsations that wish to access the black community locally, nationally and internationally. This is the core around which the Publications, Advertising, Events Area, Promotions, Competitions , Marketplace and Business and Social Community and Connectors Area is built. A noted businessman Mr Green’s exposure to commerce and the corporate world began with his exposure to the UK Government HMRC taxation division; he became a member of the Institute of Taxation before specialising in Corporate Compliance and Organisational Structures and completing a Degree in Money, Banking and Finance at the Middlesex University as a full-time scholar. His knowledge of public and private operations coupled with an intuitive understanding about business structures led to specialising in business and organisational, growth and development, nationally and internationally. Black Links will exist to give back to the people who are responsible for its success. The Connectors/Introducers Program is the mechanism that delivers this to contributors worldwide. Black Links will be developed with the status of a charitable organisation. The organisational structure will be one of a cooperative which provides for our common economic, social, and cultural needs. The task ahead is to build on the organisation’s achievements. This has been possible in going from strength to strength since the re-launch of Black Links United Kingdom in February 2015. The expansion program is one of establishing selective franchise operations globally with the formal launch of the umbrella organisation Black Links Global in 2019. This growth will continue with additional country based directories coming on stream during 2019 onwards. The importance of getting this right is not to be underestimated. Not one, but two consultancy groups have been engaged to provide a report into the issues that Black Links going global entails looking at the past, present and future. The results are already in-hand and will be used to make decisions which are in keeping with the mission and members of Black Links. Black Links proposes a operational model with a difference. It will based on its contributors through U Earn United and its Business Leaders playing a leading role and commitment to building and developing the Black Links organisation globally.